It's a staggering 10 years to the day since David Healy stunned Spain with an incredible hat-trick at Windsor Park. Healy sent the Green and White Army wild with delight in the Euro 2008 qualifier - and it all came just days after a 3-0 defeat to Iceland. 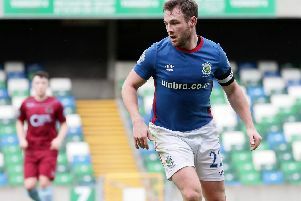 Northern Ireland's all-time top scorer punished a defensive mistake to cancel out Xavi's opener. Spain edged ahead again through David Villa, but that man Healy smashed home from Sammy Clingan's free-kick to restore parity. Then, in a moment of sheer magic, the clinical frontman sealed victory with a delightful lob over Iker Casillas. Good times never seemed so good!